What to do in Zurich, if you’re sports lover and looking for action? 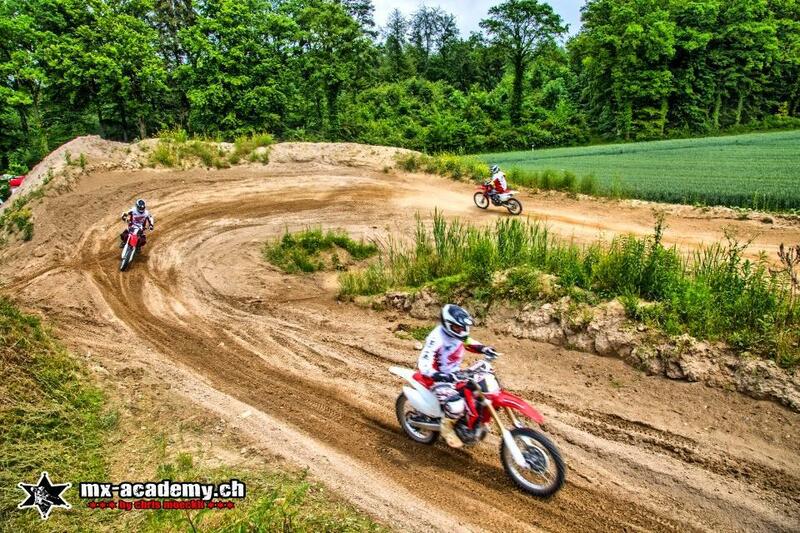 MX-Academy offers Motocross, Enduro and Dirt-Bike riding in Zurich. Whether you want to take your first steps on a motocross bike or go pro on off-road tracks for advanced riders. On our beginner’s courses we will teach you how to handle your bike and make your first steps. In all of our courses you will be provided with a complete set of safety gear and you can rent one of our fully-equipped motocross competition motorbikes. We provide smaller bikes for women and kids. Zurich offers not only perfect motocross conditions but also a lot of sightseeing. A tour of the Grossmuenster Church - This is what to do in Zurich if you are a history and religion Fan. The Grossmuenster church is a landmark of Zuurich. She is a Reformed Church in the Old Town of Zurich. Highlights of the church include its two towers. She was completed in 1230 and dedicated to the three martyrs who are also the patron saints of Zurich. Legend has it that this church stands on the site of three ancient graves. Visitors can climb 200 steps in the north tower to get views across the city. It belongs together with the Cathedral and the Church of St. Peter of the most famous churches in the city. Looking for a trip, whether it is summer or winter? Then that's that what to do in Zurich. At 2,850 feet above sea level, Uetliberg towers over the rooftops of Zurich. You can experience Uetliberg as a starting point for hikes or mountain biking in the summer, or walk along our “Path of the Planets.”. He is particularly popular in November, as its summit is often above the blanket of fog that can cover the city at this time of year. In the winter, the hiking trails to the summit are converted into sledding runs. The mountain affords an impressive panoramic view of the city, the lake and the Alps. Uetliberg is a proper activity and adventure mountain. It offers all kinds of recreational activities for tall and small, young and old, locals and tourists. Zurich has a beautiful lakeside promenade, lakeside restaurants, parks and sports areas. Around the lake are several points of interest. Lake Zurich's Ufenau Island and Lutzelau Island are also beautiful especially in the summer. The Lake is a popular excursion point for swimming, boating or having a picnic on the lake's banks. What could possibly be more Swiss than a cheese fondue? A cheese fondue aboard an evening cruise on Lake Zurich! Departing from Zurich Buerkliplatz, you will be treated to delicious Swiss cheese and romantic views that will surely be the highlight of the day. The strip stretching from Bellevue along the lake shore to the Zurichhorn is the closest Zurich gets to a promenade. Pass the magnificent Opera house and head into the park, where pavement cafés offer seasonally appropriate drinks and snacks. Therefore this is what, what to do in Zurich on a sunny day. Are you looking for a versatile afternoon? With culture, shopping and delicious food? Then the Niederdorf is what to do in Zurich. Much of the attraction of Zurich is enjoying a meander through its historic streets and few are as enchanting as the winding cobbled streets of the Niederdorf area. During the day, the pedestrian zone and many stores, which are almost hidden in alleyways, entice you to shop. In the evening, Niederdorf changes into a nightlife district for a very varied public with its bars and street artists. Niederdorf offers interesting sights, culinary delights and shopping in Zurich's old town and the locals fondly refer to it as "Doerfli".